Specification: Tested to be 100% working properly. 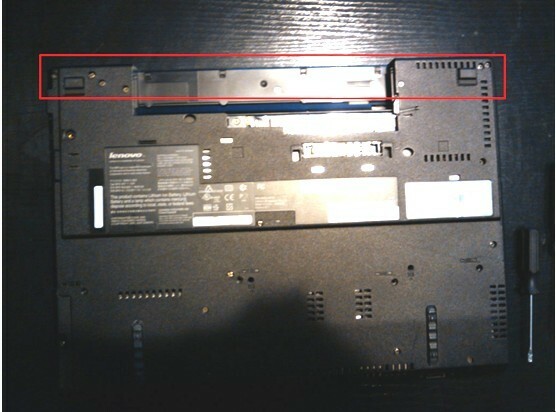 In this guide, the acutal laptop is Lenovo Thinkpad R61i. 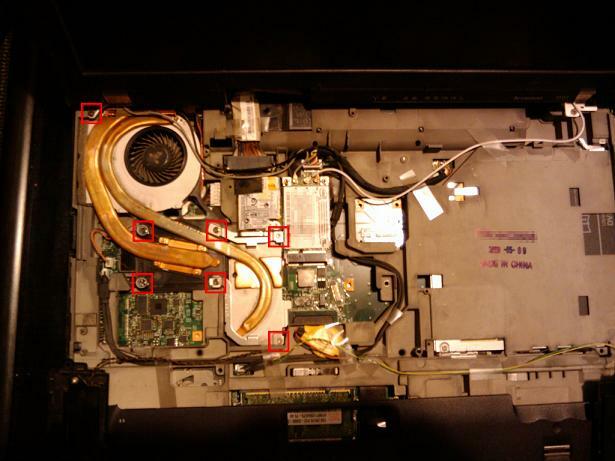 1, Shut down your Thinkpad R61. Disconnect the AC adapter and remove the battery. 2. Remove the keyboard. 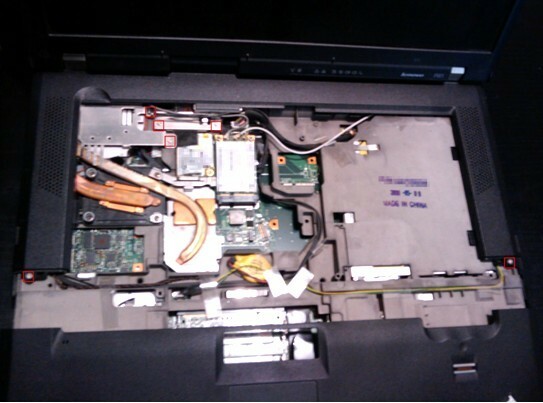 You can refer to our other instruction How to Remove the Lenovo Thinkpad R61 T61 keyboard. 3. 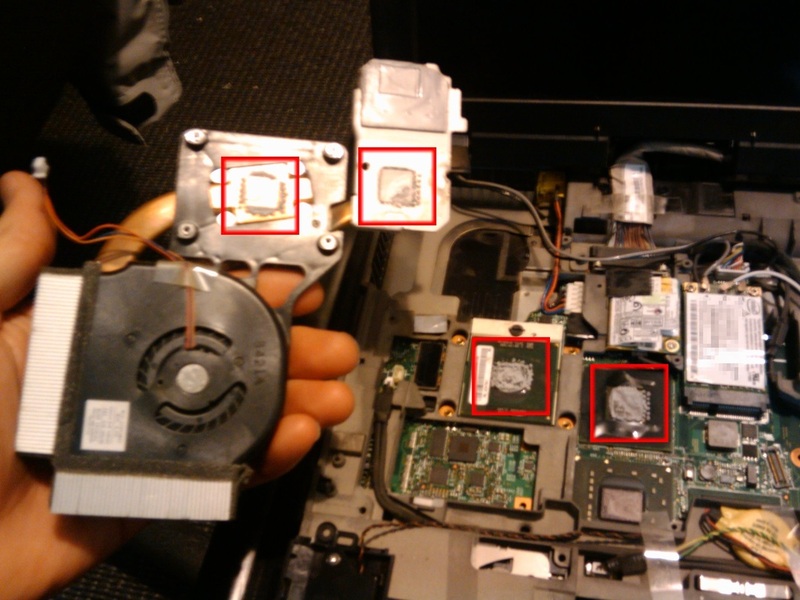 Remove all screws securing the speaker cover on the bottom of the laptop. 4. Remove four screws securing the speaker cover, then remove the speaker cover. 6. 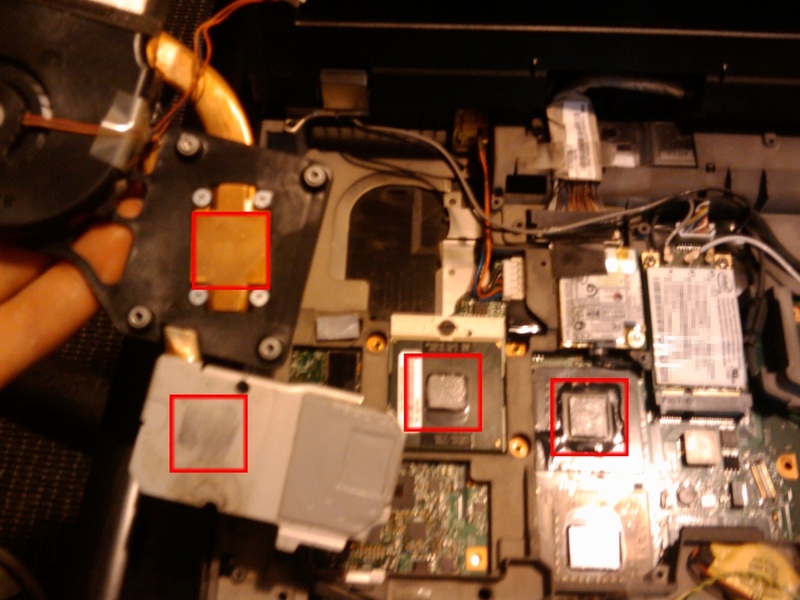 Remove the cooling fan assembly from your Thinkpad R61i. 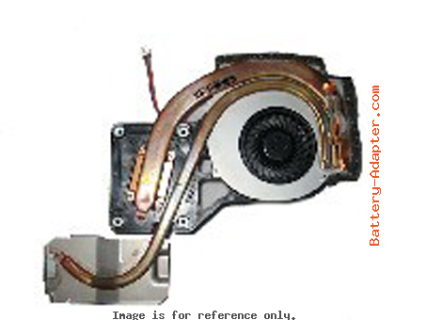 If you are replacing the failed cooling fan assembly with a new one, most likely the heat sink already has thermal grease pre-applied. 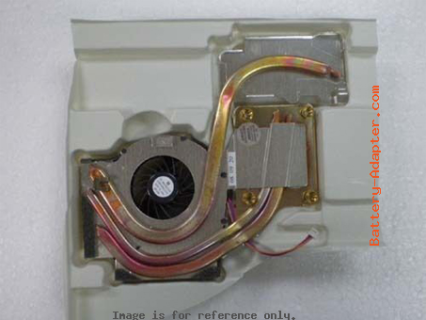 On the other hand, if you are installing a refubished cooling fan assembly, you’ll have to apply thermal grease on both chips shown on the last picture.